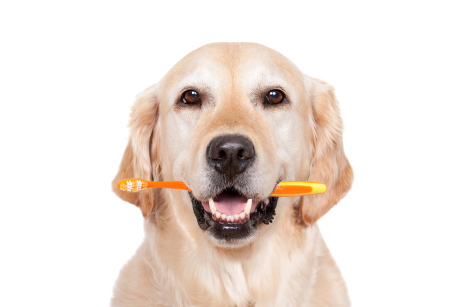 A Whitby veterinarian's description of what a dental cleaning for your pet entails. 1. If your pet has not had their pre-anesthetic blood work done yet, this will be the first thing that is performed. Pre-anesthetic blood work is used to assess your pet’s organ health status. It will look at multiple things, including; liver & kidney function, glucose levels, as well as assessing red and white blood cells and platelet numbers. During this time a TPR is performed to check on your pet’s weight, temperature, heart rate and respiration rate. All of the above is used in combination to thoroughly assess your pet’s health & chose the appropriate anesthetic drugs. 2. Your pet will be placed on IV fluids during the procedure. This will keep your pet hydrated during the procedure. It will also allow our staff an access point to provide any necessary medications while in clinic. 3. Once your pet is anesthetized, an RVT will chart your pet’s mouth. During this they are noting any deep pockets that may be around any of the teeth. Some of the other things they look for include, degree of gingivitis, degree of tartar, any mobile teeth, any holes in the teeth (cavities), or any gum recession. If they find teeth with significant dental disease surrounding them, the veterinarian will then come assess the tooth to decide if extraction is needed. NOTE: while your pet is anesthetized, an additional RVT is there monitoring your pet’s vital signs to ensure their procedure is as safe as possible. 4. If any teeth require extraction, the veterinarian will preform a local anesthetic block surrounding those teeth. The block can take a few minutes to start working, so at this time the RVT will begin cleaning the remaining teeth. 5. The RVT, uses an ultrasonic scaler to removed tartar both above, and below the gum line. A curette is used to ensure no tartar is left under the gum line after scaling. 6. If there is teeth to be extracted it is at this point that the vet would proceed with that. 7. Once the teeth are cleaned, and unhealthy ones extracted, a polisher is used to polish the remaining teeth. The mouth is then rinsed with a chlorhexidine solution & water. 8. Your pet is then woken back up & closely monitored throughout the day to ensure pain levels are controlled (if teeth were extracted). Your pet may or may not require antibiotics or additional pain medication after the procedure.